As fall quickly approaches, back-to-school shoppers are beginning to fill up their shopping carts, looking for the latest deals this school year. From online to in-store, consumers are looking for a deal on the trendiest items in school supplies, electronics, apparel, and dorm furnishings. Traditionally, the back-to-school shopping period kicks off in July and extends through September. In recent years, the front end of the season has experienced a boost in sales due to Amazon Prime Day. According to Coresight Research, spending during the one-day promotion for 2018 is expected to grow 42% over last year’s event, as consumers continue to be attracted to deep discounts and free shipping. In order to compete with Amazon’s Prime Day, we see retailers employ creative marketing tactics that are reoccurring during the entire back-to-school period, instead of focused on a single day. While the season is lengthy, retailers should invest in longer-term marketing efforts to keep shoppers excited to shop for school supplies throughout the summer. One way to achieve this strategy is to make in-store shopping as attractive as possible, including advertising online the benefits of the in-store experience. According to Deloitte’s 2018 Back-to-School survey, households plan to spend a total of $16 billion in stores this season, more than double what is expected to be purchased online. The share of online spend is growing, but it is essential retailers keep their marketing messaging consistent across both channels in order to draw shoppers to their brands from July through September. In order to keep brands top of mind for consumers throughout this summer, retailers are focusing heavily on experimental marketing and social media initiatives to capture shoppers’ wallets. Here are some unique campaigns that retailers can use to set themselves apart. Experimental marketing is a strategy that invites consumers to participate directly with a brand. By creating unique experiences for consumers, brands are driving shoppers into stores. According to a recent eMarketer article, 52% of respondents said they plan to run special in-store events during back-to-school season, with 39% offering shoppers food and drink while they shop. IKEA is utilizing both of these strategies. In early July, to help compete with Prime Day, the retailer hosted a “Back to College” party in some of their stores providing their shoppers with exclusive discounts of 20%-25% off selected items, as well as DIY furniture workshops and crafts. Additionally, they offered customers free coffee and tea from their on-site restaurant. Another experimental marketing initiative that utilizes both the online and in-store channels is Walmart’s 3-D virtual shopping feature on their website and mobile app. College students and their parents can pick out and design their dorm room with store furniture and furnishing selections online, and then come pick them up in-store, allowing them to visualize the entire room and how items look together before making a purchase. Additionally, they come to the store with a specific plan, saving them time. Social media continues to change the marketing landscape for both online and in-store retailers, and the back-to-school season is no different. As both parents and students are increasingly social media savvy, retailers need to capitalize on their social media marketing strategy. The social media platform Pinterest is particularly popular among back-to-school shoppers. Last year, 47 million used the social media site for back-to-school shopping. Because Pinterest is a visual medium and popular among high-income older females, retailers have the opportunity to showcase their back-to-school products in an engaging, unique way, while also reaching millions. In the same vein of using digital assets to visually appeal to consumers, retailers can use social media to specifically target back-to-school shoppers. When searching “back to school” on Pinterest, several brands, including The Children’s Place, Toyota USA, Kohl’s, and DSW, come up in the search, running ads focused on the promotional period. Last year, IKEA used analytics to focus on keyword utilization and targeting in their promoted pins on Pinterest tailored to students in the midst of their dorm room shopping. This back-to-school campaign saw a rise in click-through rates of 72%, and decreased cost per click by 37% according to Retail Touchpoints. Pinterest is not the only social platform providing brands with significant consumer exposure. Instagram targets a young demographic across both genders, and in Q2 2018, their year-over-year ad spend growth significantly outpaced Pinterest’s, increasing 104% compared to the latter’s 36%. The previous quarter’s spending growth for these platforms clearly indicate brands are heavily investing in social marketing to gear up for this year’s back-to-school season. As Instagram hit 1 billion active users earlier this summer, retailers have an opportunity for their ads to extend their reach throughout the summer months, as opposed to focusing on a 24-hour promotion like Prime Day. Retailers must adopt innovative promotional strategies in experimental marketing and social media marketing to compete in the Prime Day era. 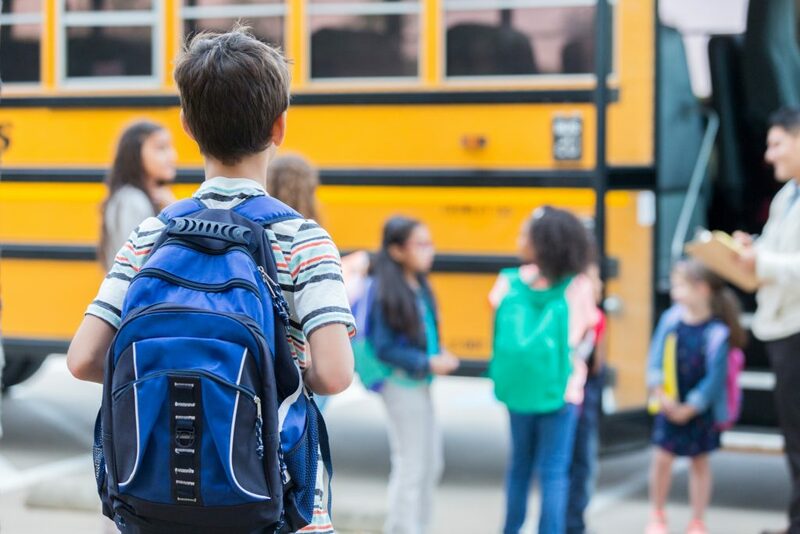 This is more important than ever as retailers strive to consistently target and connect shoppers to their brands throughout the back-to-school season. Additionally, back-to-school results are typically an indicator of how retailers will perform during the holiday retail season, so brands should act on these marketing tactics now in a creative, engaging way to capture the back-to-school shopper.